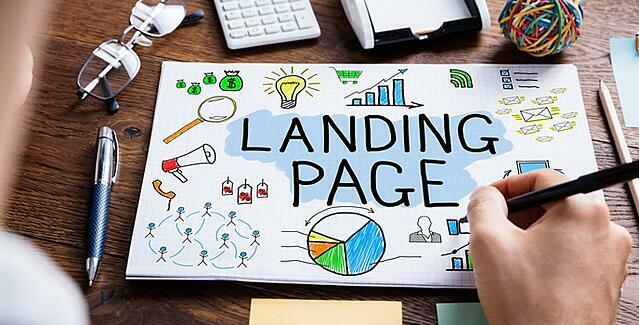 You know why implementing landing pages is needed for great internet marketing. Once you’re putting in the effort to create a landing page, you may as well make sure it’s going to be as effective as possible. But how to ensure that? Take a look at some of these landing page tips. Your headline is valuable. Make sure the title is clear and to-the-point. Include an action verb, such as “download” or “listen”. Somewhere in the headline, specify what the offer is, so that search engines will pick up on it. Also include what the lead is getting out of the offer. A good example of a headline would be “Listen to our Podcast on Generating Leads to Increase Revenue”. It’s short and tells the lead what action will need to be taken, what type of offer he or she will be getting, and how he or she will gain from using it. Price it fairly. The form (where the new lead gives you personal information) is the currency in which your offer is paid for. Make sure the form is worth the value of your offer! In both length and the type of questions you’re asking, make sure it won’t scare anyone off. Less is more. Next, you’ll want to include a few sentences (one to three) describing in greater detail what the offer is and how the lead will benefit. If possible, you want to keep all information above the fold, or before a visitor needs to scroll. People lose interest quickly, so the faster they understand what you’re offering, the more likely they will be to stick around until the end of the process. Use lists and bullet points to sum up what it is that they’re being offered. To clean up the page, remove the navigation bar. This isn’t when you want visitors going to any other web pages, anyway. Include visual aids. Include an image or short video somewhere on the page that captures one’s attention, and allows the visitor to quickly understand the offer. Let it be shared! Include social sharing buttons so that the lead can spread the word to his circles. Chances are that a person’s contacts will be interested in the same offers, so why not utilize that market? You should aim for a 20% success rate for your landing pages. This means that out of every ten visitors, two should end up completing the form and converting into leads. Good luck! Chaya Lencz is our marketing associate at AbilitySEO. In addition, she is currently a student at University of Baltimore's Merrick School of Business.